Beah was born in Sierra Leone in 1980 and was forcibly conscripted into military ranks at the age of thirteen. In 1998, he moved to the United States where he finished his last two years of high school at the United Nations International School in New York. Beah graduated from Oberlin College in 2004 with a B.A. in political science. He is a member of the Human Rights Watch Children’s Rights Division Advisory Committee and has spoken before the United Nations, the Council on Foreign Relations, the Center for Emerging Threats and Opportunities (CETO) at the Marine Corps Warfighting Laboratory, and many other NGO panels on children affected by war. 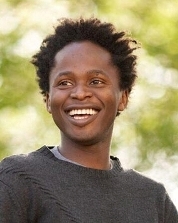 AFJN is proud to be among this list of speaking engagements and we hope that you will join us in welcoming Ishmael Beah to our 25th anniversary celebration. The Conference will be held from April 18-21, 2008 in Rosslyn, Virginia. Continue checking this website for more details.